With 24 colour plates. 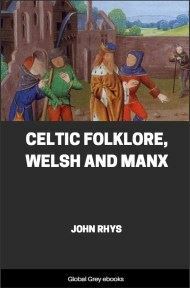 A manuscript of the Gospel richly illustrated with Celtic motifs and deep symbolism. 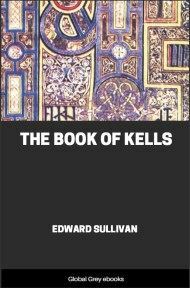 This book includes an extended introduction to the Book of Kells, along with its historic and linguistic background and high resolution scans of the illustrations, which include many famous pages from this amazing manuscript. A word by way of Preface. ITS weird and commanding beauty; its subdued and goldless; the baffling intricacy of its fearless designs; the clean, unwavering sweep of rounded spiral; the creeping undulations of serpentine forms, that writhe in artistic profusion throughout the mazes of its decorations; the strong and legible minuscule of its text; the quaintness of its striking portraiture; the unwearied reverence and patient labour that brought it into being; all of which combined go to mate up the Book of Kells have raised this ancient Irish volume to a position of abiding preeminence amongst the illuminated manuscripts of the world. Many attempts have been made to reproduce its unique illuminations; and, so far as form and outline are concerned, the reproductions have been as far as possible successful. But all such efforts have up till now failed to give a living representation of its marvellous pages—for without its colour harmonies no reproduction can be regarded as adequate from the point of view of art. The last important attempt at reproduction in colour was made about forty years ago; but the scientific knowledge of the time was unequal to the strain sought to be put upon it. In the years which have since elapsed the science of light, photography, and colour-reproduction has made rapid advances towards an accuracy which was unknown when the earlier attempts were published; and it is only by the aid of such advancement that the production of the present volume has become possible. In this respect the work now published differs from all its predecessors; for, though still distant from absolute perfection, the reproductions here given will be found to be infinitely closer to the originals in the important matter of actual colour than any of the so-called facsimiles which up to the present have been included in any published work. For this reason the present volume should not be regarded as in any sense a rival of the uncoloured reproductions which have already appeared of the Book of Kells. Its office is rather to supplement in colour what has already been accomplished by ordinary photography and monochrome; to add a new value to previous efforts with the assistance of the most recent methods and processes of polychromatic photography and colour-printing. Looked at from this standpoint one may fairly claim for the work here produced that it fills with some measure of satisfaction a gap in the pictorial history of Celtic illumination, and affords as it were a nearer view of one of the most interesting and beautiful manuscripts which have yet come from the hands of man. The ancient town of Kells. The town of Kells, in County Meath in Ireland, lies some twenty miles west of Drogheda and the Irish Channel. 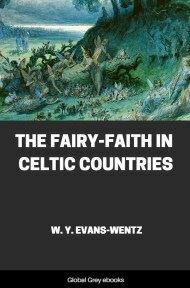 It was known in days as early as St. Patrick's in the Latinised form of Cenondæ, bearing at a somewhat later date the name of Cenannus and Kenlis. Kennansa was its old Irish appellation. Within its narrow precincts to-day there are still standing three very ancient and well-known Irish stone crosses with characteristic carvings on them; an old church, the rebuilt remains of which date from the year 1578; a round tower—one of the many to be found still in Ireland; and a building which has long been described as the House of St. Columb. Of the famous Monastery of Cenannus, or Kells, no trace remains—either of wall or foundation—but persistent tradition, with a strength that not infrequently outlasts both stone and mortar, has ascribed the founding of this vanished monastic institution to St. Columba. Irish historians have fixed the date of its foundation as about the year 550 A.D. St. Columba, or Colum Cille. 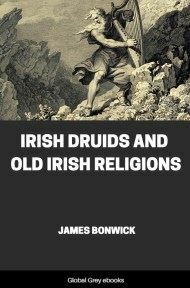 An ancient Irish legend gives the reason why St. Columba left his native land, and shows us, incidentally, a vivid picture of the militant churchman of those early days. During a sojourn with St. Finnan, in Ulster, Columba borrowed his psalter, and copied it furtively in his church, with the aid of miraculous light in the night time. 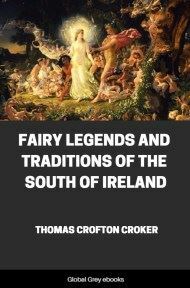 Finnan demanded the copy, but Columba refused to give it up, and the matter was submitted for judgment to Diarmaid, Monarch of Ireland, at Tara. Diarmaid, with the rough and ready justice of a new Solomon, decided that as to every cow belongs her calf, so to every book belongs its copy. A sanguinary battle was the result; but the copy remained with him who made it. It was known in later times as Cathach, from the Irish cath, a battle; and was preserved with much veneration by Columba's kindred. This Psalter is now in the collection of the Royal Irish Academy, Dublin.